Getting in a car accident can be stressful enough, but what about dealing with the damages afterwards? If you’ve recently been in an accident, and have damage you need to take care of, here are some tips on how to go about getting it fixed. After you’ve been in an accident, you’ll want to let your insurance company know right away. While you’re waiting for your claim to be processed, you should take pictures of all the damage from different angles for your own records. If there are large pieces of glass missing from your vehicle, try and cover them using a tarp to protect the interior of your car from outside elements. Through this entire process, be careful to not hurt yourself on tiny pieces of glass. Each car insurance company has different rules when it comes to repairing a damaged windshield. According to the Department of Motor Vehicles, “If your windshield (or other glass, e.g., side windows, rear window, or sunroof) is damaged by something other than a collision, you’ll likely pay for it using comprehensive coverage.” Comprehensive coverage can cover many things, including storms, fires, vandalism, and collisions with animals. It’s important to remember that in many cases this coverage is optional, and if you don’t have it, you’ll be on your own to pay for damages. 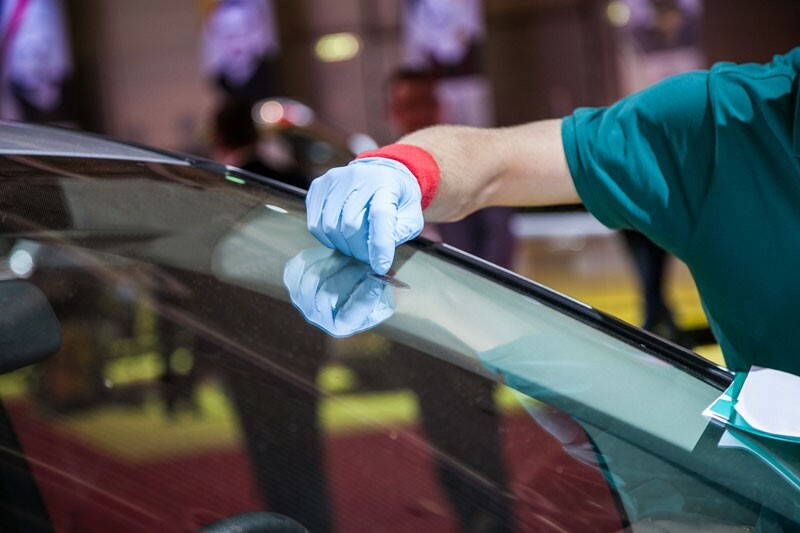 Now that insurance has been taken care of, it’s time to make your windshield look brand new again. If the damage done to your windshield is small, such as a small bullseye chip, your auto body repair shop or windshield repair service will fix the chip with an adhesive or resin. The process should be quick, without any risk of any other damage being done to your windshield. If you’re looking for a team of experienced professionals to help fix your cracked windshield, contact the team at Turk’s Collision Center. Not only do we believe that your car should be repaired in a quick and timely manner, but we’ll also take away the hassle of dropping off your car. Leave it to us to pick it up, repair it, and drop it back off for you. Give us a call today at (309) 694-2905, or visit our website to learn more about our services.